Niagara Festival & Entertainment Group would like to thank everyone who came to our 8th Imperial Garage Reunion. It was a great party!! 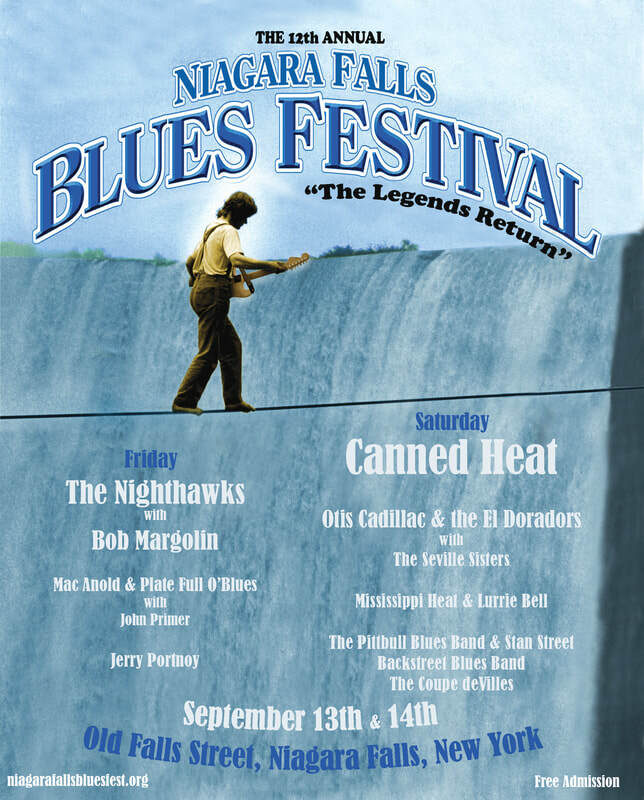 We will be leaving soon for Key Largo (our winter home) and will begin planning for the one and only Official 2019 Niagara Falls Blues Festival. Stay in good health, we'll see you in the spring. Don't miss our Imperial Garage Reunion and Fundraiser for the 2019 Niagara Falls Blues Festival! It is being held at The MEETING PLACE, 2469 Niagara Rd in Bergholz (just outside the city of Niagara Falls) indoors and outdoors. At noon, there will be the 12th annual Classic Car and Bike Cruise in honor of David "Toby" Rotella and Dave Quarantillo. Participants please meet at NOON at 98th St. and Porter where the old Cruisers Bar was at . The vehicles will line up between there and Niagara Falls Blvd. The cruise will go from there to The Meeting Place. Everyone is welcome to join the cruise! Before there was the Niagara Falls Blues Festival, there was the Imperial Garage Reunion Parties. Rich Snyder of the WNY Blues Sociaty, now deceased, was the catalyst for getting Toby to start having reunion parties. Lots of amazing blues musicians played the parties local and national acts, most of which performed at The Imperial Garage. The first reunion was the B Bar in Niagara Falls. They were also held at Mister B's, The Riverside/Waterstreet Landing in Lewiston, and The Barton House also in Lewiston. The last one was held in 2007 at Club Malibu, the location where The Imperial Garage once was. 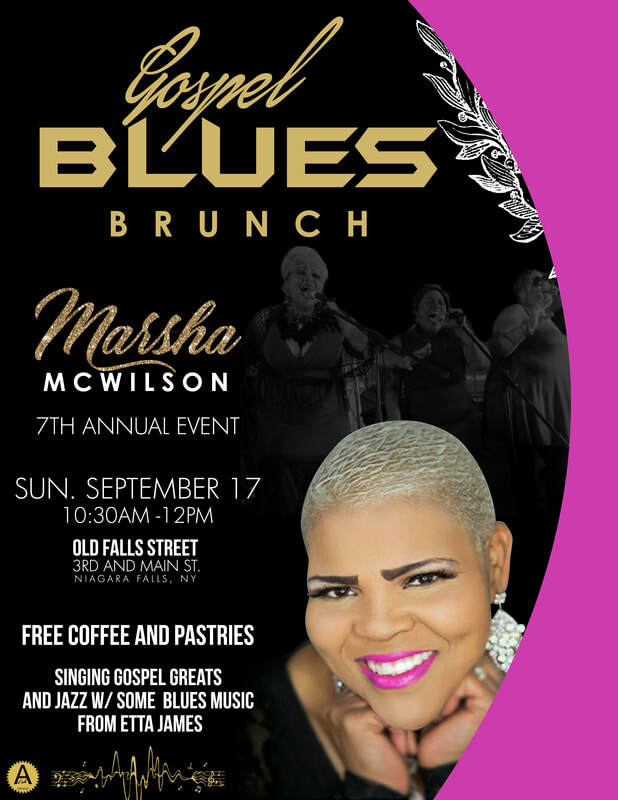 That party was the stepping stone to start the Niagara Falls Blues Festival which has been held for the last 10 years. We were unable to run the festival this year, so we decided to have go back to our roots and have a new reunion to help fund next year's festival so we can come back bigger and better than ever! Niagara Festival & Entertainment Group thanks you for your loyal support of our show over the past 10 years! We are saddened to have to announce that due to numerous scheduling conflicts we will be unable to devote the needed attention to the production of our customary high quality show this year. We have decided, in the best interest of keeping our show the world class event it has become, to postpone the Festival for one year. Our plan is to return to production in 2019, bigger and better than ever. We share your disappointment and appreciate your understanding. We feel that this is the best decision to maintain the highest quality show possible. We do have plans this Aug. or Sept. for an Imperial Garage Reunion and to hold the annual Classic Car and Bike Cruise. We will keep you updated with posts on social media as we have more info. 1/30/18 We were saddened today to hear of Eddie Shaw's passing. Those of you that attend the festival every year know he played multiple times not for just always putting on a great show that the audience loved, but he was also a friend to us. A HUGE THANK YOU to EVERYONE who helped make the festival a smashing success!! We could not have asked for a better weekend! Cruise starts at 1:00 and follows Pine Ave. to festival site. And this will be a WNY Day in appreciation of our 10 years as a festival!